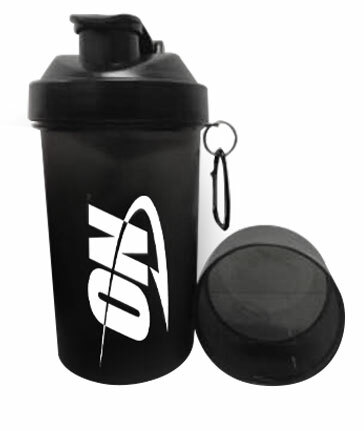 Other Products by Optimum Nutrition. Search other Plant Protein Powder products. 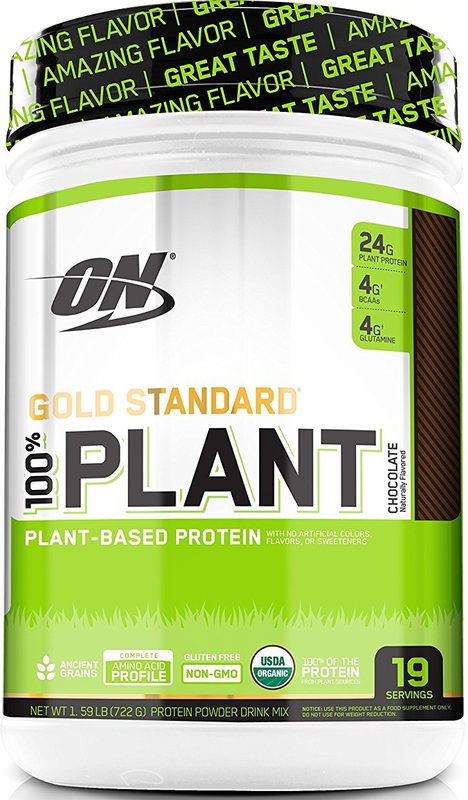 Gold Standard Plant Protein is a naturally-flavoured and sweetened protein supplement that provides all the essential amino acids that the human body requires to recover from exercise. It can also be taken to supplement the diet for general health when high-quality protein is lacking. Each serve of 100% Plant Protein contains 24g of protein, which includes 4g of branched chain amino acids (BCAAs), sourced from Organic Pea Protein, Organic Brown Rice Protein and Organic Sacha Inchi Seed Powder. One of the BCAAs, called leucine, is a well researched stimulator of muscle protein synthesis, which is an important factor assisting with muscle recovery from strenuous exercise1. However, we do need all of the building blocks to adequately repair or build lean muscle tissue, which are in fact all of the essential amino acids, excluding tryptophan. It is important to take Tryptophan as well, however, in order to maintain general health, such as mood and digestion, which is naturally included in Gold Standard Plant Protein. This makes Gold Standard 100% Plant the perfect formulation for muscle maintenance, recovery, building or simply to support general health. In fact, an interesting piece of research was published by the Journal of the International Society of Sports Nutrition in 2015 demonstrating that pea protein taken during a 12-week resistance training program led to the same amount of muscle thickness gains as did whey protein, both of which outperformed placebo2. The results were actually greater in the pea protein group than the whey protein supplemented group. However, these differences were regarded as statistically insignificant. So, things are certainly looking up for the humble pea. And with a mere 150 calories per serve—providing only 5 grams of carbohydrates—there is no reason not to make this powerful product a part of your daily supplement schedule. 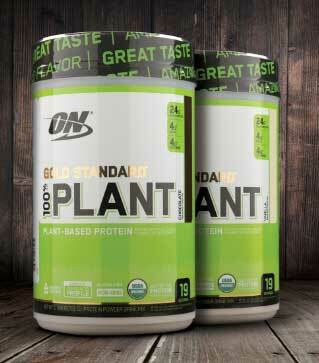 In addition to being an excellent source of plant-based protein, Gold Standard 100% Plant also contains a unique profile of micronutrients, including a 1:1 ratio of sodium to potassium. This helps to avoid the high sodium relative to potassium content that many pea protein products contain. A high sodium to potassium ratio has been linked to an increased risk for all cardiovascular diseases, such as stroke3. Each serve contains 220mg potassium and 210mg sodium. Additionally, there is 4.6mg of naturally occurring iron per serve, which is helpful for vegetarians, and especially vegans, who may be lacking in this crucial mineral due to low dietary availability. If this doesn’t already sound like the protein with all the answers, each serve contains 100mg of naturally occurring calcium and also has Organic Pomegranate powder added to the formulation, which is an excellent source of antioxidants4. Gold Standard 100% Plant contains an ancient grains blend of organic quinoa, amaranth, buckwheat, millet and chia, adding to it its already impressive nutritional profile, and offering a small amount of low glycemic index carbohydrate and natural fiber to the formula. This product is an excellent substitute for whey protein, casein and egg protein and may be used after exercise to support recovery, consumed at meal times, or taken as a snack for on the go. Simply add water, shake and you’re ready to go! Mix or shake one scoop (38g) into cold water, rice milk, coconut milk or low fat milk and consume. Protein deficient or insufficient diets; low muscle mass; dairy allergies or intolerances; high activity levels. Vegans and Vegetarians (though meat-eaters too); athletes, recreational trainers and sports enthusiasts; bodybuilders; people with protein insufficient or deficient diets. INGREDIENTS: Plant protein blend (organic pea protein, organic brown rice protein, organic sacha inchi protein), organic cocoa powder (processed with alkali), natural flavour, organic natural flavour, organic stevia leaf extract, organic grain blend (organic amaranth, organic quinoa, organic buckwheat, organic millet, organic chia), organic guar gum, xanthin gum, ascorbic acid, organic gum arabic, salt, organic pomegranate powder, cyanocobalamin. Gluten Free, Non-GMO, Vegan Friendly, No artificial flavours, colours or sweeteners.